With thousands of homes inspected, All Points Home Inspection has proven to be the #1 home inspection choice for real estate agents and home owners throughout the Boise, Eagle and Meridian area. All Points Home Inspection, LLC works closely with Agents to schedule Home Inspections to comply with both the Buyers schedule and Escrow schedules. Time is always of essence during the home purchase and sale process period. All Points Home Inspection, LLC encourages Home Buyers to attend the home inspection when possible. We encourage buyers to make a list of any special areas of concern so that all questions are addressed. All Points Home Inspection, LLC encourages a pre-listing home inspection to address items that could be found on a Buyers inspection report. This could help the Seller save money and time during the Real-estate transaction. Our reports are designed to give you the best understanding of the conditions of your new home purchase. Your easy to read home inspection report, with digital pictures and explanations, will be emailed to you so you will be able to see and understand exactly what the home inspector has inspected and tested. In most cases, you will get the home inspection report by email on the same day. All Points Home Inspection, LLC works closely with the tight schedules of home builders during the new construction process to ensure quality, functionality and punctuality of the home inspection process. 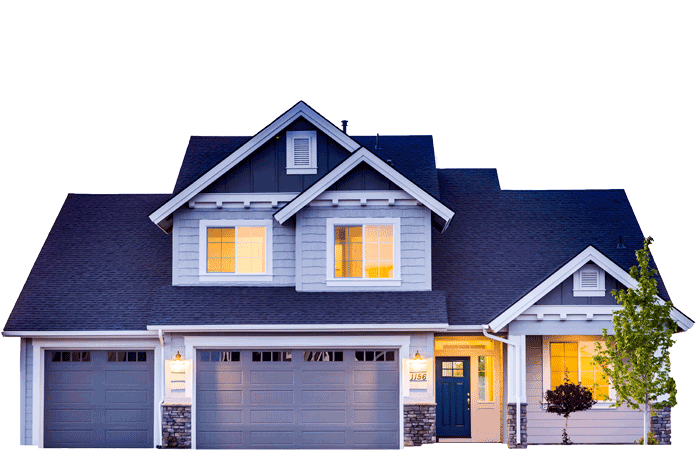 All Points Home Inspection, services include single and multiple occupancy residences, as well as light commercial properties. All Points Home Inspection, LLC competitive pricing is based on the size, age and location of the property. Some additional fees may be required. Please see the Pricing link on our web site for more details. At All Points Home Inspection, we believe in quality, honesty and detailed execution of home inspection services each one of our clients. It is with this belief, that every home inspection is 100% accurate, in detail and fully disclosed. Available 7 days a week and serving all of Ada, Canyon, Gem, Elmore, and Valley Counties in Idaho and surrounding areas. See what real estate agents, home owners and home sellers have to say. "Recently my Wife and I bought a new home in Eagle. My Real-estate agent recommended we get the home inspected by a certified home inspector. After consulting several local inspectors, we chose Butch Lloyd of All Points Home inspection LLC. Not only did Butch do a complete and thorough inspection but he was very clear and informative on the results. His clear and detailed report was easy to understand and helped us make the informed decision we were looking for. Thank you Butch Lloyd for helping our home buying experience easier. I will recommend Butch Lloyd and All Points Home Inspection to all my friends. I am a Real Estate Broker with over 23 year of experience and Butch Lloyd is always my first recommendation for a home inspector. He is very professional and thorough with his inspections. Very complete and easy to read report with great pictures of all items of concern. I highly recommend and you will be happy you called him first. As a Realtor, I recommend All Points Home Inspection and Butch Lloyd to all our clients, to my friends and family. If I were to have a home inspection for my own property, there would be only one call I would make, Butch Lloyd at All Points Home Inspection! With an unsurpassed knowledge of his field and a lightning quick response and turn around time on reports, All Points is a valuable asset to our clients. Our home inspection clients are priority #1. Serving Boise, Eagle, Meridian and throughout the Treasure Valley in Southern Idaho. See why real estate agents, home owners and home sellers continue to utilize All Points Home Inspection as their home inspector of choice. 2246 W. South Fork Dr.